Is your company planning a conference or seminar in Hua Hin and you need some activities planned? Feast Thailand has one of the most experienced corporate planners working in Thailand. She has over 20 years experience planning corporate events for a multi-national corporation based out of Australia. As General Manager of one of the retail brands of this company, she took a very hands on approach to planning annual conferences and seminars, as well as the many and varied special events, which happened regularly throughout the year. This role saw her work in Australia, New Zealand and Singapore. Now it is Thailand's turn. Our events are all themed around food; the food of Thailand. 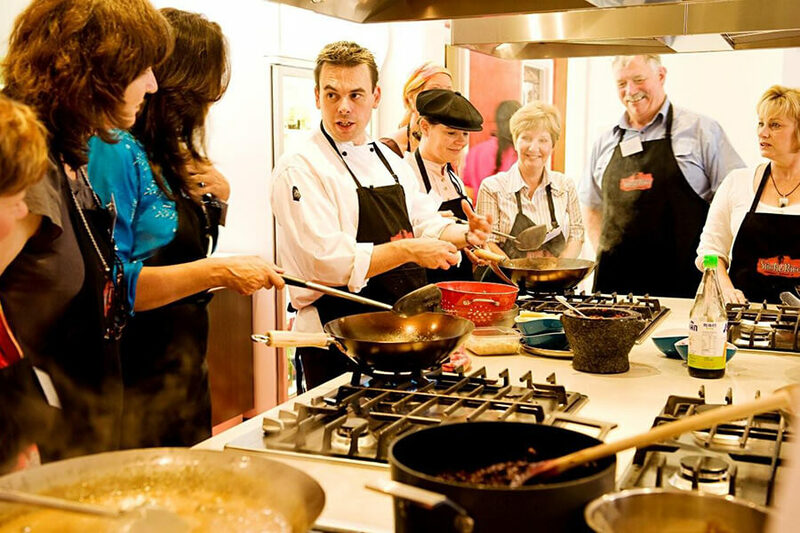 These events can range from team building activities to a relaxed, yet interactive food demonstration, or cooking school. This experience helps teams work together, understanding individual strengths, to plan and collaborate to deliver an outcome! Your team will arrive at FT HQ where it will be set up into colour-coded cooking stations, each with its own menu. Upon understanding the goals of the day, the teams will go by Tuk Tuk to the local market to buy the ingredients for the cook off. They will have a budget and time limit, plus some tasks to achieve whilst they are there. Then it's back in the Tuk Tuks to HQ to prepare and cook their lunch. There will be a Thai Chef on hand to help guide the teams. Each team will also have a FT team member with them to help them navigate through the morning, either in the market or at FT HQ. Each team will have to present their completed dishes for tasting and judgement. Once judging is done and the winners announced, everyone will sit down and share their dishes. Inclusions: Cooking equipment, Aprons, Team Colour Scarves, Local Transport, Menu’s and cash budget, Thai Chef and helpers, water. 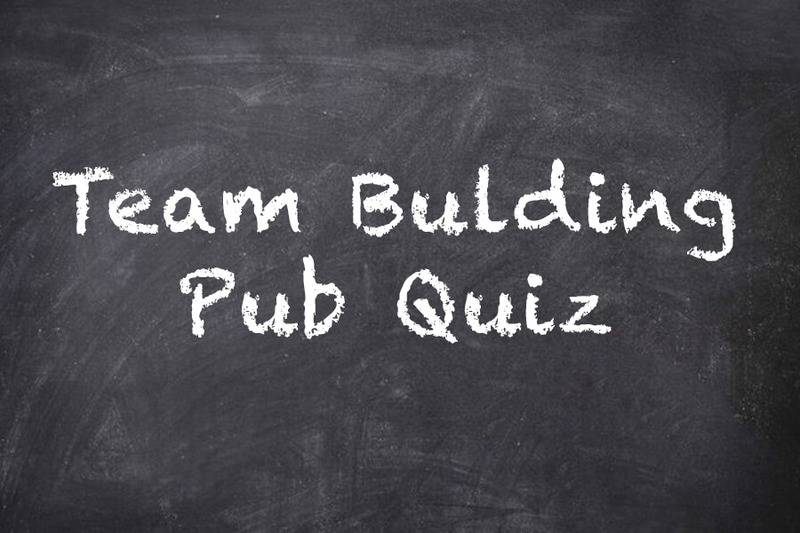 This experience is about teams coming together to answer questions, understanding individual knowledge to have the most correct answers at the end. On arrival at FT HQ or your venue, each table will have answer sheets plus a mystery Q&A in the centre of the table. This activity can have an international flavour or a focus on Thailand. It can be on general knowledge, a food focus, or a combination of the 2. 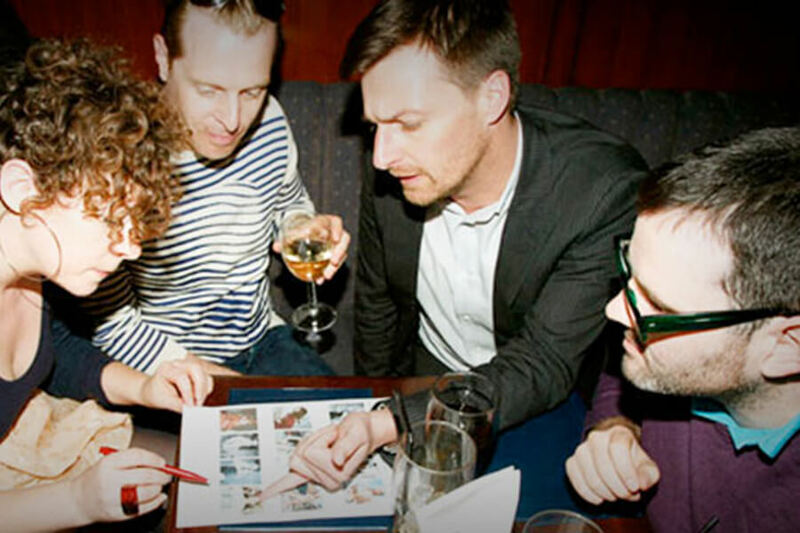 We can work with you to decide what would suit your group to get maximum participation. We include some additional team and individual activities as well. These all add to the points for each team. 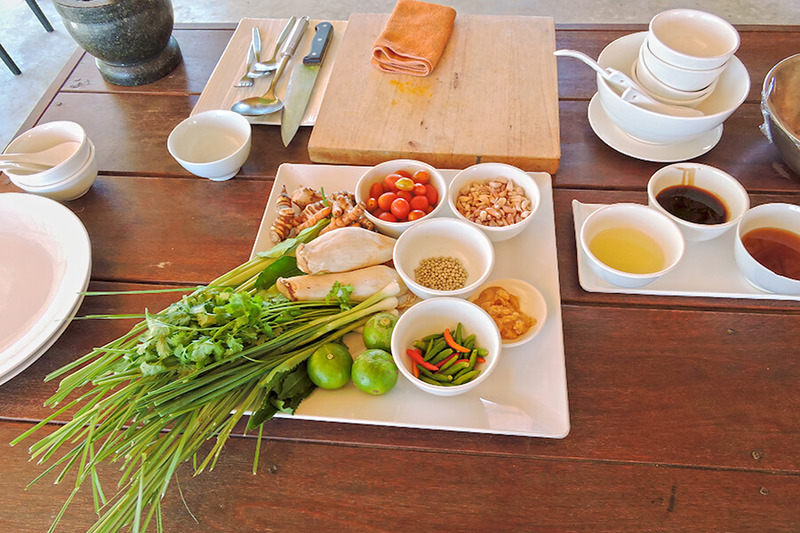 This experience is about teams coming together to relax, learn about and eat some great Thai Food, prepared in front of them by a professional chef. This is a great way to reward your team members by taking them to a great seaside location and eating some great Thai Food. On arrival, to get the taste buds alive, you will be served with a starter; this sets the scene for the session. 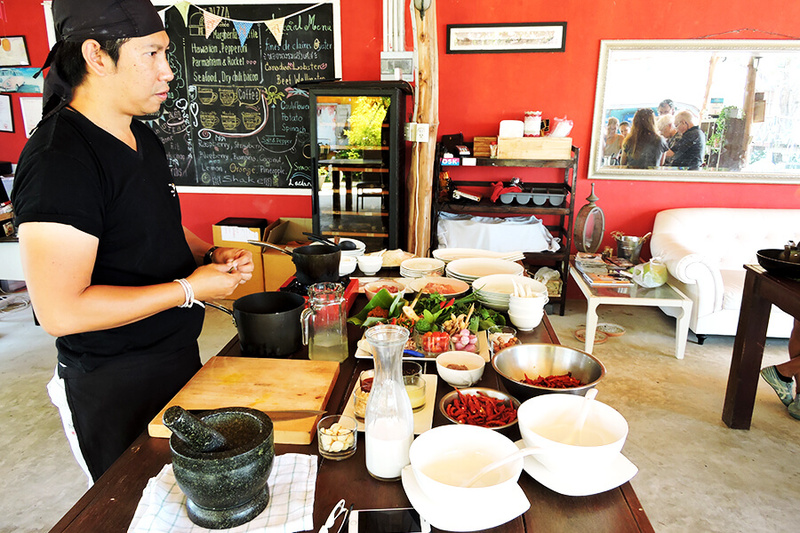 Then our Thai Chef and host will demonstrate and cook the meal in front of the team. Each team member will get the recipes to take away along with picking up on key cooking tips. Some team member participation is required, so we will find out who the budding chefs are in the group. 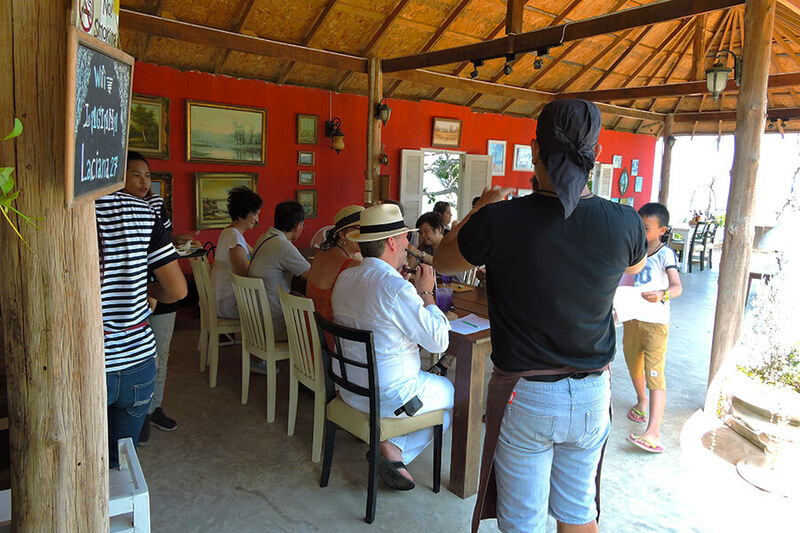 Once cooked, everyone will sit and enjoy the meal in the most relaxed and intimate seaside location in Hua Hin. We offer a number of events to suit your needs. Our Team Building events are a combination of fun and competition; being part of a team working together, but also learning about Thai food along the way. We focus on teams building unity and working together. Strong and productive interaction with each other = teams that are more productive in the work place. Our customers range from very small companies to large corporations planning conferences, as well as parties with a difference. We will work with you every step of the way to ensure the outcomes of the session meet your needs.